For the Good Charlotte song, see Cardiology (album). "1979" reached number two in Canada, number six in Ireland, number nine in New Zealand, and charted within the top 20 in several other countries, including Australia, the United Kingdom, and the United States. The song was nominated for the Record of the Year and Best Rock Performance by a Duo or Group with Vocal at the 39th Annual Grammy Awards, and won an MTV Video Music Award for Best Alternative Video. In 2012, it was voted the second-best Smashing Pumpkins song by Rolling Stone readers. According to statements in interviews, Corgan worked nonstop after the Siamese Dream tour and wrote about 56 songs for Mellon Collie and the Infinite Sadness, the last of which was "1979". As the Mellon Collie sessions came to a conclusion, "1979" (which evolved out of a demo called "Strolling") was just a couple of chord changes and a snippet of a melody without words. When the time came to choose the songs that were to appear on the album, producer Flood said that "1979" was "not good enough" and wanted to drop it from the record. This, however, inspired Corgan to finish it in four hours. The next day, Flood heard "1979" once and decided immediately to put it on the album. Corgan considers "1979" the most personally important song on Mellon Collie. The song features a sample of Corgan's voice repeated throughout. During recording, Corgan was singing "today" as the melody line, so he and Flood decided to record him singing to a tape. The pair electronically manipulated several samples and looped them against a drumbeat. "1979" is the Smashing Pumpkins' highest-charting single, reaching number 12 on the Billboard Hot 100 and number one on the Mainstream Rock Tracks and on the Modern Rock Tracks charts. Virgin credited the inclusion of the single's bonus tracks for driving sales. The song was nominated for the Record of the Year and Best Rock Performance by a Duo or Group with Vocal at the 1997 Grammy Awards. Pitchfork Media included the song at number 21 on their Top 200 Tracks of the 90s and said "'1979' was Billy Corgan asking, 'You know this feeling?' and the second you heard that guitar line the immediate answer was, 'I do-- tell me more.'" In a 1996 Spin interview, Corgan indicated that "1979" was probably the only indication he had for what the next Pumpkins album would sound like, "something that combines technology, and a rock sensibility, and pop, and whatever, and hopefully clicks. Between 'Bullet with Butterfly Wings' and '1979' you have the bookends of Mellon Collie and the Infinite Sadness. You've literally [heard] the end of the rock thing, and the beginning of the new thing". The song was voted #13 on Triple J Hottest 100 in 1996, it was later voted #71 on the Hottest 100 of All Time in 1998, #35 on the 2009 edition and #21 on the Hottest 100 of the Past 20 Years in 2013. The music video for "1979" was directed by the team of Jonathan Dayton and Valerie Faris, who had previously directed the music video for "Rocket". Originally, the band approached another director (possibly Spike Jonze) to film the video for "1979". His idea was that all the band members were residents in an alien hotel and they were all going to have specially made alien-elephant masks. This video would have cost over a million dollars. The video follows a day in the life of disaffected suburban teenagers driving around in a Dodge Charger. It is based on a concept Corgan created, featuring an idealized version of teenage life, while also trying to capture the feeling of being bored in the Chicago suburbs, where Corgan grew up. In the Video the Dodge Charger has Illinois license plates, although in the driving scenes the mountains of California are visible in the background shots. Originally, Corgan wanted a scene of violence, in which the convenience store was trashed by the teens at the end of the video, but Dayton and Faris convinced him to go for something tamer. 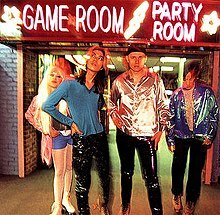 Aside from Corgan appearing throughout the video in the backseat of a car, the other band members had small parts in the video; James Iha appears as a convenience store clerk, D'arcy Wretzky as an irate neighbor, Jimmy Chamberlin as a policeman, and all three of them appear together as the band in the party scene. Band manager "Gooch" plays Jimmy's partner. Upon finishing the video shoot, the band flew to New York to perform. However, all tapes of the footage were accidentally left sitting on top of a car, and were lost as the driver departed. The group later flew back to re-shoot the party scene. The "1979" video was highly acclaimed. It won the MTV Video Music Award for Best Alternative Video in 1996. It was one of Canadian cable television music channel MuchMusic's Countdown number-one videos of 1996. Billy Corgan considers it the Pumpkins' best video, calling it "the closest we've ever come to realizing everything we wanted." The video for the 1998 song "Perfect" is a sequel to this one, and involves the same characters who are now older. The aforementioned incident with the loss of the original footage is parodied in one of the later video's final scenes, in which a cassette tape is left on top of a car and falls off as a character drives out of a parking lot at high speed, and is subsequently destroyed by another vehicle. Tracks 1, 2, and 4 are remixed by Roli Mosimann. Track 3 is remixed by Moby. The song is used in Clerks II and during the credits of Gran Turismo 5. It was also released as downloadable content for Guitar Hero World Tour. It was also part of the soundtrack of Grand Theft Auto IV as part of the fictional Liberty Rock Radio station until April 2018 when Rockstar Games' ten-year license to the song expired. ^ a b c d Greg Kot. "A Long Strange Trip to 1979". Chicago Tribune. Retrieved October 5, 2011. ^ "Readers' Poll: The Best Smashing Pumpkins Songs". Rolling Stone. Retrieved February 3, 2017. ^ Corgan, Billy; Iha, James; Wretzky, D'arcy (December 19, 1996). "Hora Prima". MTV Latin America (Interview). ^ "Smashing Pumpkins: The Secret History, by Alan Cross". Harper Collins. 2007. ISBN 9781927002209. ^ Billy Corgan (May 29, 1998). "Billy Corgan interview" (Interview). Karl Daher. ^ "King B's". Guitar World (January 1997). ^ "Charts & Awards: Smashing Pumpkins". Allmusic. Retrieved August 26, 2013. ^ Craig Rosen. "CD Single Sales Spurred by Addition of Nonalbum Cuts". Billboard (March 30, 1996). ^ "The Top 200 Tracks of the 1990s: 50-21". Pitchfork. September 2, 2010. Retrieved October 5, 2011. ^ Craig Marks. "Zero Worship". Spin (June 1996). ^ a b c d The Smashing Pumpkins – Greatest Hits Video Collection (1991–2000) (DVD). Virgin Records. 2001. ^ "Moby Tries To Collect Debt From Pumpkins Corgan". May 28, 1997. Archived from the original on June 14, 1997. Retrieved October 5, 2011. ^ "Australian-charts.com – The Smashing Pumpkins – 1979". 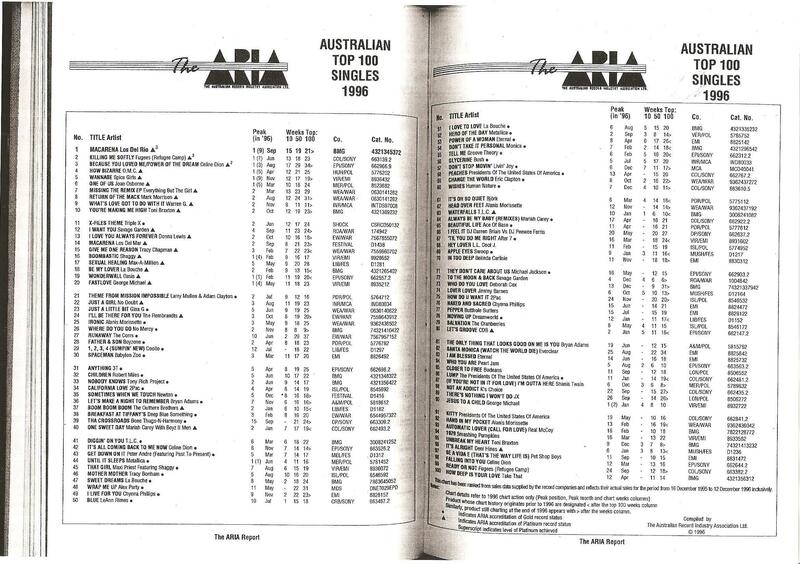 ARIA Top 50 Singles. Retrieved November 24, 2016. ^ "Ultratop.be – The Smashing Pumpkins – 1979" (in Dutch). Ultratop 50. Retrieved November 24, 2016. ^ "Ultratop.be – The Smashing Pumpkins – 1979" (in French). Ultratop 50. Retrieved November 24, 2016. ^ "Top RPM Singles: Issue 2933." RPM. Library and Archives Canada. Retrieved November 24, 2016. ^ "Top RPM Rock/Alternative Tracks: Issue 2920." RPM. Library and Archives Canada. Retrieved November 24, 2016. ^ "The Smashing Pumpkins: 1979" (in Finnish). Musiikkituottajat – IFPI Finland. Retrieved November 24, 2016. ^ "Lescharts.com – The Smashing Pumpkins – 1979" (in French). Les classement single. Retrieved November 24, 2016. ^ "The Irish Charts – Search Results – The Smashing Pumpkins". Irish Singles Chart. Retrieved November 24, 2016. ^ "Nederlandse Top 40 – week 10, 1996" (in Dutch). Dutch Top 40 Retrieved July 16, 2018. ^ "Dutchcharts.nl – The Smashing Pumpkins – 1979" (in Dutch). Single Top 100. Retrieved November 24, 2016. ^ "Charts.nz – The Smashing Pumpkins – 1979". Top 40 Singles. Retrieved November 24, 2016. ^ "Official Scottish Singles Sales Chart Top 100". Official Charts Company. Retrieved July 16, 2018. ^ "Smashing Pumpkins: Artist Chart History". Official Charts Company. Retrieved November 24, 2016. ^ "The Smashing Pumpkins Chart History (Hot 100)". Billboard. Retrieved November 24, 2016. ^ "The Smashing Pumpkins Chart History (Pop Songs)". Billboard. Retrieved November 24, 2016. ^ "The Smashing Pumpkins Chart History (Mainstream Rock)". Billboard. Retrieved November 24, 2016. ^ "The Smashing Pumpkins Chart History (Alternative Songs)". Billboard. Retrieved November 24, 2016. ^ "The Smashing Pumpkins Chart History (Adult Pop Songs)". Billboard. Retrieved November 24, 2016. ^ "The Smashing Pumpkins Chart History (Dance Club Songs)". Billboard. Retrieved November 24, 2016. ^ "The ARIA Australian Top 100 Singles 1996". Imgur.com (original document published by ARIA). Archived from the original on November 2, 2015. Retrieved May 29, 2016. ^ "RPM Year End Top 100 Hit Tracks". RPM. Library and Archives Canada. Retrieved July 16, 2018. ^ "RPM Year End Dance Top 50". RPM. Library and Archives Canada. Retrieved July 16, 2018. ^ "RPM Year End Alternative Top 50". RPM. Library and Archives Canada. Retrieved July 16, 2018. ^ "Billboard Top 100 - 1996". longboredsurfer.com. Archived from the original on March 1, 2009. Retrieved October 5, 2011. ^ Roemer, Dan (April 26, 2014). "Here's a list of songs removed in GTA IV's latest update". Destructoid. Retrieved April 28, 2018. ^ "Italian single certifications – Smashing Pumpkins – 1979" (in Italian). Federazione Industria Musicale Italiana. Retrieved February 26, 2018. Select "Tutti gli anni" in the "Anno" drop-down menu. Select "1979" in the "Filtra" field. Select "Singoli online" under "Sezione". ^ "British single certifications – Smashing Pumpkins – 1979". British Phonographic Industry. Retrieved February 8, 2019. Select singles in the Format field. Select Silver in the Certification field. Type 1979 in the "Search BPI Awards" field and then press Enter. ^ "American single certifications – Smashing Pumpkins – 1979". Recording Industry Association of America. Retrieved November 25, 2016. If necessary, click Advanced, then click Format, then select Single, then click SEARCH.